"The man in black fled across the desert, and the gunslinger followed." 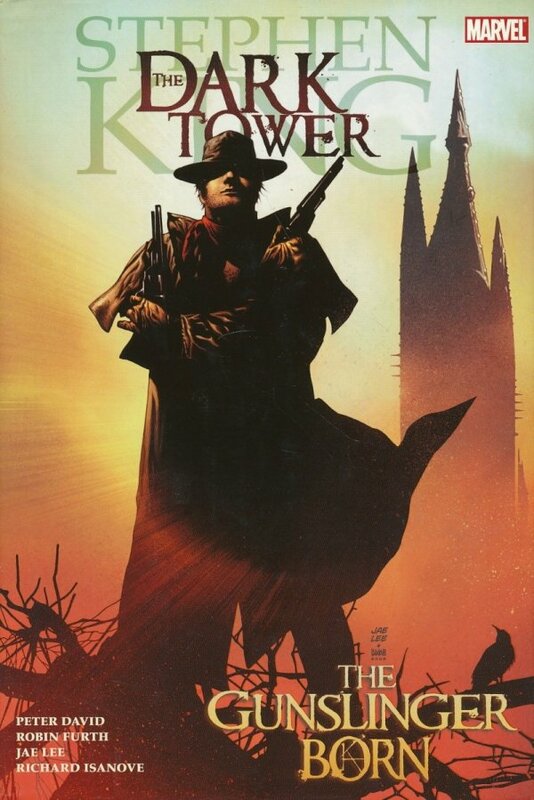 With those words, millions of readers were introduced to Stephen King's Roland - an implacable gunslinger in search of the enigmatic Dark Tower, powering his way through a dangerous land filled with ancient technology and deadly magic. Now, in a comic book personally overseen by King himself, Roland's past is revealed! Sumptuously drawn by Jae Lee and Richard Isanove, adapted by long-time Stephen King expert, Robin Furth (author of Stephen King's The Dark Tower: A Concordance), and scripted by New York Times Bestseller Peter David, this series delves in depth into Roland's origins - the perfect introduction to this incredibly realized world; while long-time fans will thrill to adventures merely hinted at in the novels. Be there for the very beginning of a modern classic of fantasy literature!